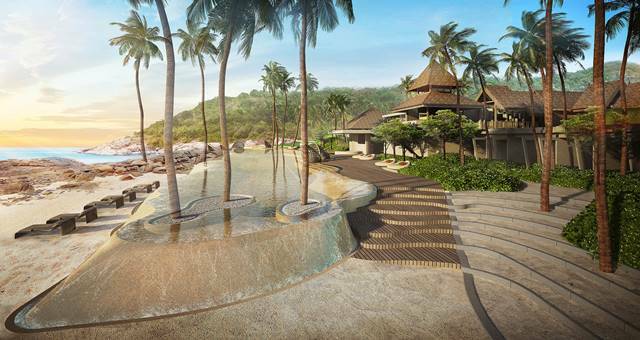 Starwood has opens the doors of the highly-anticipated W Retreat Koh Samui, the first W in Southeast Asia. An all-villa beachfront resort uniquely located at the peak of the north shore of Thailand’s famed Samui Island, W Retreat Koh Samui brings an alluring new dimension to Thailand through its location, forward-looking design, and vibrant contemporary lifestyle. The opening of W Koh Samui is also an important milestone as W Hotels continues to grow internationally, on track to more than double its global portfolio by 2012, reaching more than 50 hotels worldwide. “W Retreat Koh Samui redefines the way we live and play,” said W Hotels Global Brand Leader Eva Zeigler. “The day is dedicated to individual moments of relaxation and detox that will inspire you for a night of energy and celebration. “We are delighted to have brought the W brand to Koh Samui, one of the coolest islands in Southeast Asia. “W Koh Samui marks an important move in the global expansion of the W brand, and after W Maldives and W Vieques, it is our third Retreat worldwide,” she said. W Retreat Koh Samui is owned by Thai development company Amburaya Hotels & Resorts and features the brand’s Residences concept, a range of 3- to 5-bedroom beachfront villas adjacent to the property. 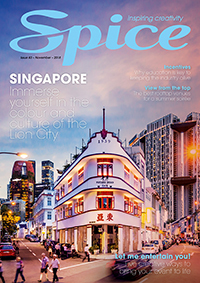 “W Retreat Koh Samui is another great example of our ideology in investing in a destination with a great site, product and the ideal brand to compliment it – certainly a perfect blend of lifestyle, entertainment, hospitality and commerce,” said Amburaya Hotels & Resorts Managing Director, Sunny Bajaj. “We are confident that W Retreat Koh Samui will be a scintillating playground for the discerning leisure traveler and a fresh destination on the global stage of entertainment, music, fashion and culture for years to come,” Bajaj said. W Retreat Koh Samui features 75 private villas equipped with modern lifestyle innovations, including a private pool, daybeds, an outdoor shower, Yamaha sound system, 46-inch plasma screen TV, wine refrigerator, and the signature W bed. Alongside the property’s food and beverage offerings, including W Lounge, WooBar, The Kitchen Table, and Namu, W Retreat Koh Samui features the Great Room, a meetings and function area that serves 60 people with the latest in meetings technology.